This is the electric AVANTI Metro model. It’s a lovely retro style bike with a very low step-through; making it ideal for people who like a bike that’s easy to mount and dismount. It’s a classic looking ebike that comes with very top quality parts. These include: SHIMANO eSTEPS mid-drive motor, lithium ion rear rack mounted battery, hydraulic disc brakes and an internal nexus 8 speed gear. It ticks boxes for looks, riding comfort and price. 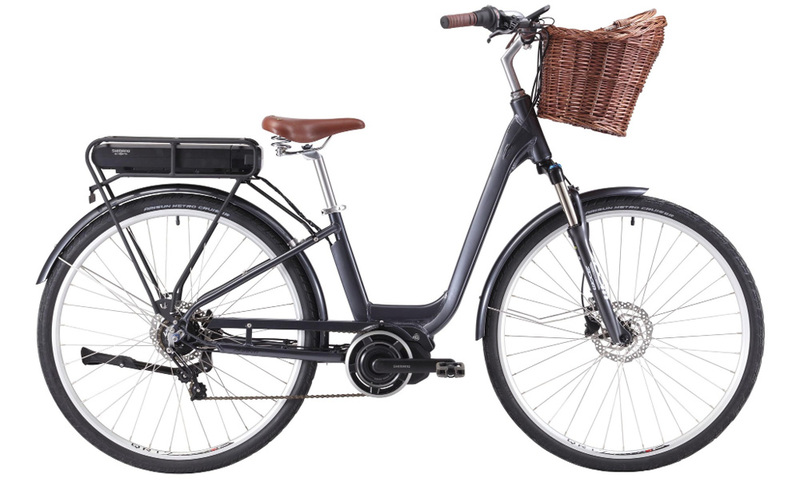 It’s a lovely bike to ride that will impressive any rider who is looking for an electric bike with a very low step through frame and quality motor and battery. Please come into our electric bike shop in Fremantle to take this little gem for a test ride. Fork SR Suntour XCT, 100mm Travel, Hydraulic Lock-out.